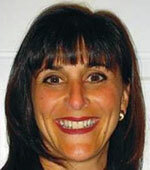 Lisa Dougherty founded Whole Body Fitness in 1999. She graduated from the University of Ca, Irvine, Fitness Instructor Program, and is a Certified Personal Trainer and Health Coach through the American Council on Exercise. She has many specialty certifications to work with those with medical conditions, post surgical/rehab as well as pre & postnatal fitness.​ Course work includes:​ Heart Disease, Breast Cancer Recovery, MS, Parkinson's, Diabetes, Alzheimer's/Dementia, Arthritis, Respiratory Disease, Fibromyalgia, Knee & hip replacement, and Pre & Postpartum fitness. Lisa founded the Medical Fitness Network in 2013. It is free national referral network of qualified health & fitness professionals for those with chronic medical conditions. Lisa serves on the board of the Medical Wellness Association and has served as the President of the OC Nutrition & Fitness Council, a nonprofit organization, overseeing the organization's mission and monitoring nutrition programs at schools in Orange County. Prior to being in the fitness industry Lisa worked in the securities industry (stocks & bonds). In the 80′s she was nominated as one of the top 10 sales assistants that year in a 10,000 employee Wall Street firm. C.J. Jones currently runs De Anza's Lifetime Fitness & Wellness Center, serving both our student population and community members who purchase memberships. C.J. is a Certified Health and Fitness Specialist with the American College of Sports Medicine and holds a variety of other specialized certifications She mentors Personal Trainer students as part of the World Instructor Training Schools certification program, and, in the past, has mentored students enrolled in the De Anza College Personal Training Certificate program. For the past nine years, C.J. coached De Anza's co-ed cheerleading and dance team. Dr. Jason Karp is one of the foremost running experts in America, 2011 IDEA Personal Trainer of the Year, 2014 recipient of the President's Council on Fitness, Sports & Nutrition Community Leadership award, and creator of the Run-Fit Specialist certification. He holds a Ph.D. in exercise physiology. A prolific writer, he has more than 200 articles published in international running, coaching, and fitness magazines, is the author of five books, including Running for Women, Running a Marathon For Dummies, 101 Developmental Concepts & Workouts for Cross Country Runners, and 101 Winning Racing Strategies for Runners, and is a frequent speaker at international fitness and coaching conferences. 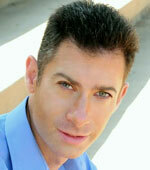 Follow Jason on Twitter @drjasonkarp and Facebook at DrJasonKarpRunFit. 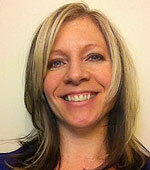 Mindy Piles is a personal trainer at Mission 5 Fitness where she focuses on corrective exercise and post rehab training. With over 25 years experience in the health and fitness field, she has worked in commercial gyms, worksite fitness centers and campus wellness programs. Mindy is also a faculty member at Cincinnati State Technical and Community College where she leads the Personal Training certification program and serves as the internship coordinator. She has a Masters degree from the University of Cincinnati in Health Promotion with an emphasis in Cardiovascular Fitness. She is a certified Health and Fitness Specialist with the American College of Sports Medicine, ACSM Certified Personal Trainer and NASM Corrective Exercise Specialist. Tim Rochford, AS, BS in Sport Management – Fitness & Wellness, is the SeniorFITness Program Coordinator for Alliance Rehab. He has been in the fitness industry since 1984 and earned his initial certification through the IDEA Foundation (now A.C.E.) in 1988. Tim currently holds numerous certifications including Senior Fitness through AAHF & Alliance Rehab, personal trainer through ACE (1991), NASM (2001), and The Cooper Institute (1999). He also is as ACE Advanced Health & Fitness Specialist. 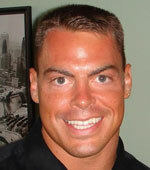 Tim has been a continuing education provider in the fitness industry since 1997. 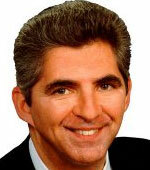 Jon Baraglia I am currently the National Director of Fitness Services for Bally Total Fitness, leading Personal Training and Group Exercise operations, as well as fitness equipment procurement. I have worked in the industry for over 15 years in various fitness leadership roles, with a deep passion for changing lives, making exercise fun, and creating a motivating environment for fitness professionals. Brandon R. Burkley, B.S. ,D.C.
Ericka Dawydko graduated Northern Michigan University with a Bachelor's of Science in Health Fitness Management in 1996. 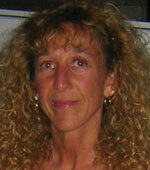 She worked for Bally Total Fitness for 10 years as a Service Manager and Personal Trainer, Pilates Instructor. 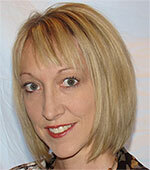 Ericka is currently working at the Livonia Family YMCA as the Wellness Director, since 2007. As a Certified Personal Trainer, Ericka has been instructing for W.I.T.S for over 13 years. Scott Lewandowski, MS, CPT has been in the fitness industry for 20 years and was the 2001 IHRSA/ACE Fitness Director of the Year. Scott obtained a Master's Degree in Exercise Physiology from Benedictine University in 1997 and is a Certified Personal Trainer with the American Council on Exercise and the National Academy of Sports Medicine. Scott currently works as the Vice President of Fitness for Fitness Formula Clubs in Chicago, Illinois. 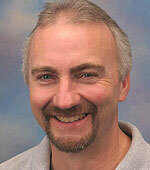 Scott is a contributor in the Health Fitness Management, Second Edition textbook by Human Kinetics released in 2008. His chapter is "Understanding Organizational Design." Scott enjoys running and has completed 35 marathons and 3 Ironman Events. Dr. Jim Bell picked up his first book on exercise when he was 9 years old and has been training other people ever since! Even with a variety of careers as an NCAA Gymnastics Coach, USAF Fighter Pilot, Investment Banker, Health Club Manager, Personal Trainer and CEO of the IFPA: International Fitness Professionals Assoc, the Fitness Profession has always been his "First Love." Dr Bell has develop the Fellowship In Integrated Sports Medicine, Fiism, a Post-Graduate education program for doctors to learn to use Exercise and Nutrition Protocols for the Treatment, Care and Prevention of all chronic disorders. This will combine the best of medicine, with the best of fitness! June Chewning has served the fitness industry as a fitness instructor, personal trainer, PE teacher, college instructor, presenter, master trainer, author, and fitness facility owner with a Master's Degree in Exercise Physiology. 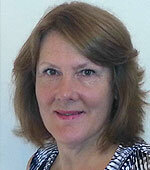 She is 2 time recipient of the Contribution to the Aquatic Fitness Industry Global Award. 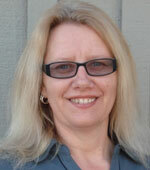 June is owner of Fitness Learning Systems, a company providing quality eLearning continuing education services. Shawna Dosser serves as President and CEO of BWI National Health Promotion Training Institute which is housed at the Buffalo Niagara Medical Campus, aiming to provide individuals and employers with on-line continuing education and certificate programs in the health- wellness industry. Shawna holds degrees in exercise physiology, health education and business management, as well as national certifications in leadership, wellness program management and lean six sigma. 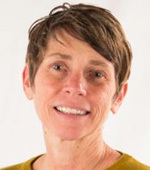 Additionally, she serves as an Associate Professor in the Health & Wellness Studies program at Erie Community College in Williamsville, NY, the Northeast Regional Director for the governing board of the National Association for Health & Fitness, and a Wellness Ambassador for the Institute of Human Resources. Angie Pattengale has worked with National Federation of Professional Trainers (NFPT) since 1994, currently serving as the Director of Certification. 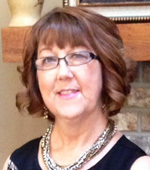 A graduate of Purdue University's Krannert School of Management, her education and over 20 years of experience in the personal trainer certification industry have provided the framework for serving trainers, consumers and the NFPT mission as it relates to standard setting, public safety and the delivery of trainer education and credentialing. Angie seeks to further the initiatives of collaborative industry efforts which promote and garner respect for hardworking certified professionals. 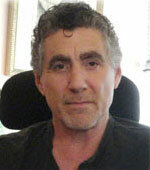 William Singer, Ph.D., earned his Doctorate in Counseling Psychology from Oregon State University. Dr. Singer was awarded the Washington State Governor's Award for Outstanding Volunteer Community Service, having completed his internship training at Community Psychiatric centers in Seattle, Washington. He has held faculty undergraduate and graduate professorships at The University of Puget Sound and City University in Seattle. 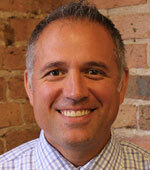 He is a founding member of NAFC and Executive Director for Institutional Affairs & NAFC Non Profit.